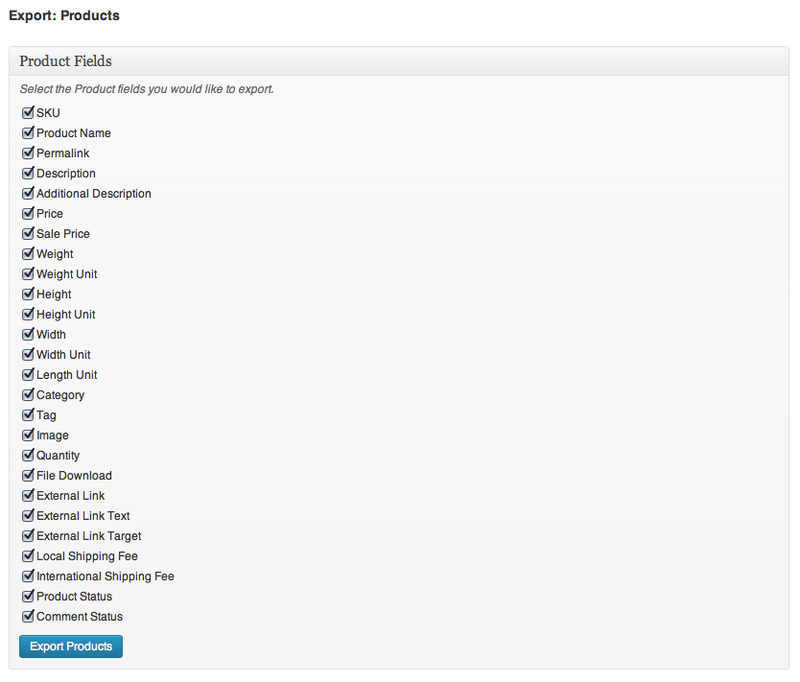 I’m trying to determine which wordpress ecommerce solution to go with. I have my eyes on WooCommerce but would like to check something with you before I go ahead. For my website I need 4 products, on each product page I need to be able to have the customer enter in 3 fields to personalise their product. (A First Name, A Last Name & a quote to select from.) 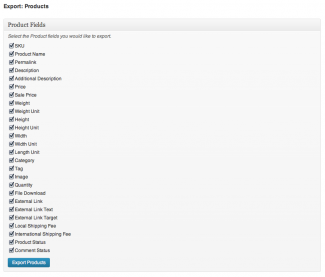 It looks like the Product Add On plugin from woocommerce is what I need to achieve this. 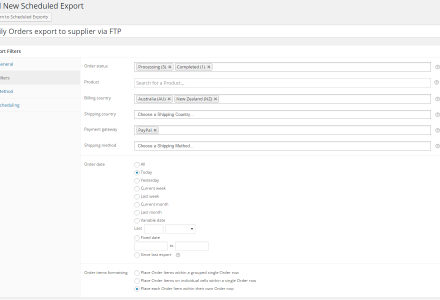 After all the stock has sold, I then need to be able to export a .csv file with a list of all the customers details, order number etc, and a column that specifies the information they entered in the product add on. A seperate column with their personalised first name another for last name and another for their quote. Is this possible with this plugin? Thanks for getting back to me. 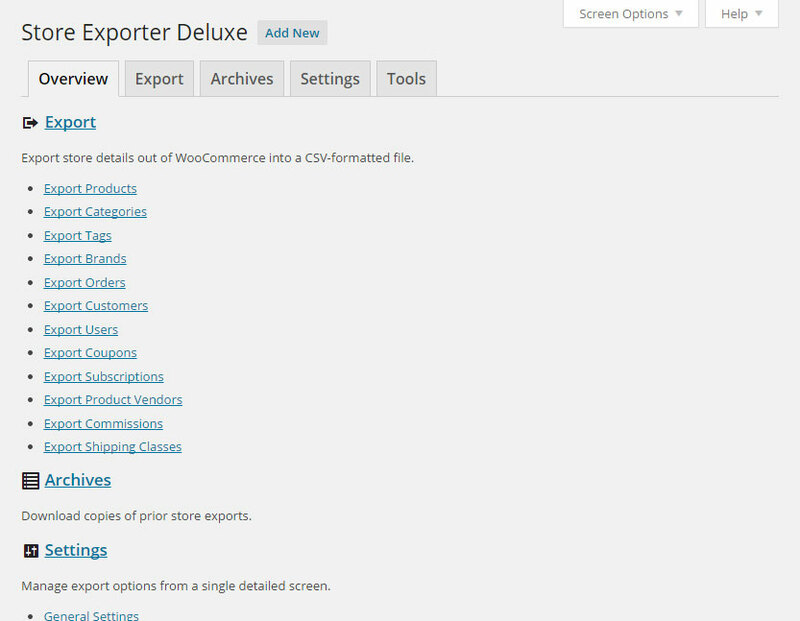 I’ve just purchased store exporter deluxe, but I can’t seem to find the product add ons option in the orders selection. 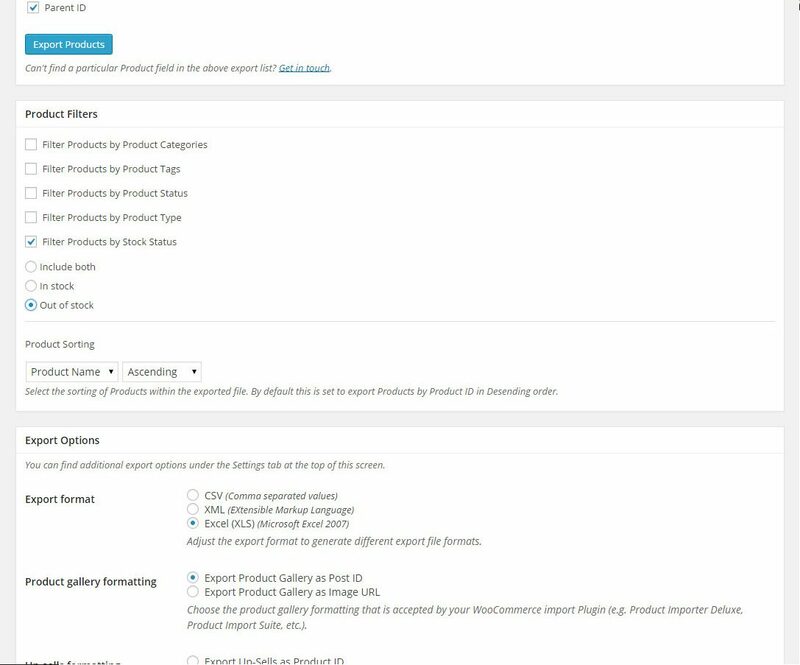 Could you walk me through how to export the product add on data? I’ve got a question regarding the store exporter deluxe. 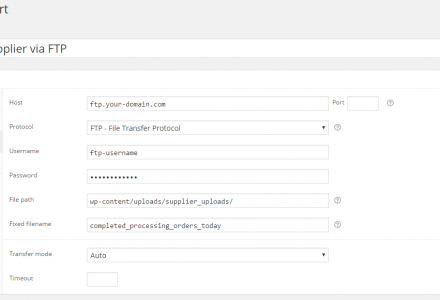 I need to have my orders automatically exported to a .csv file that is saved to our server. Is this possible using this plugin? 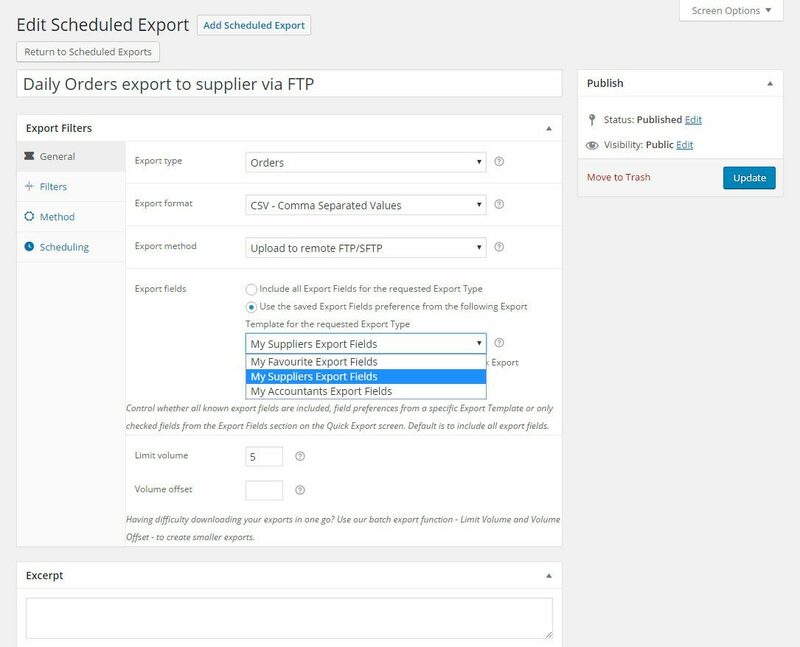 Also, when automatically exporting orders, is it possible to export only orders that haven’t been exported before and orders that have been changed? 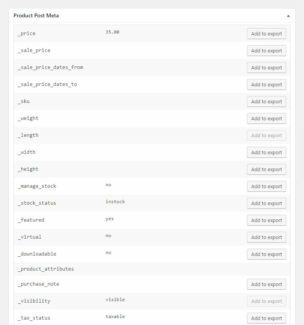 Finally, is it possible to export orders in such a way that each product of an order has its own row in the .csv file? 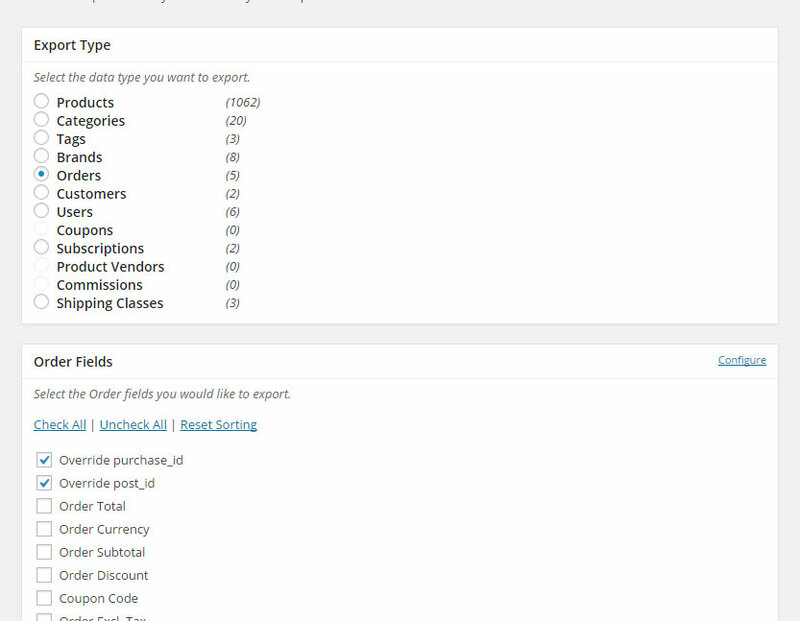 And would you have a sample order export file for download? Changing the order that things appear on the csv file. 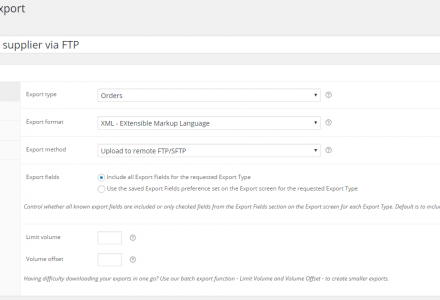 Hi .Comheroes, the Save to WordPress Media will save the scheduled export to your server but we have not added remote FTP or local filepath support to our scheduled export. This will be rolled out in a future Plugin update. 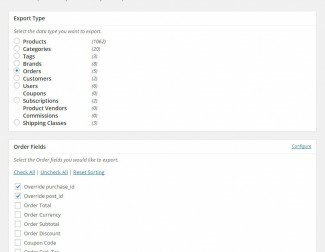 I know that WooCommerce Orders exporter includes support for only exporting Orders that haven’t been exported before but am unsure how extensive their filtering options are, it might be best to look at their Plugin for a comparison. In the interim I’ll make a task to look at how to impliment this. 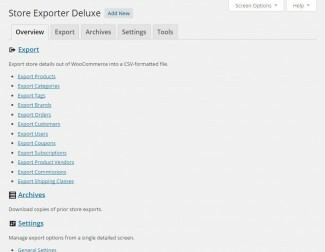 I am interested in both the store importer deluxe plugin and store exporter deluxe plugin for Woocommerce. Before I purchase them, I would like to have examples of cvs files used by both plugins, in order to check the feasability of the interface with my ERP. 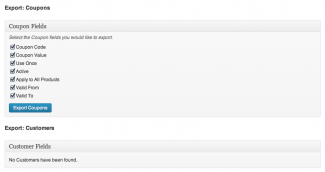 I could find the cvs examples for the import plugin on your website, but not the examples of the export plugin. Can you please send them on my e-mail address? I am interested in all examples, but if you have to choose, please focus on clients and orders. 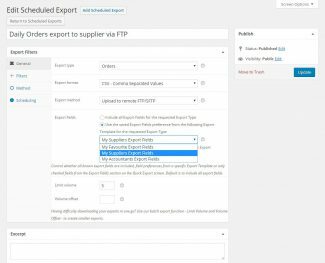 Hi poissonplume, thanks for your interest, please see our Trello board (https://trello.com/b/FdMbgB4j/store-exporter-deluxe-woocommerce) for supported export details for Store Exporter Deluxe. 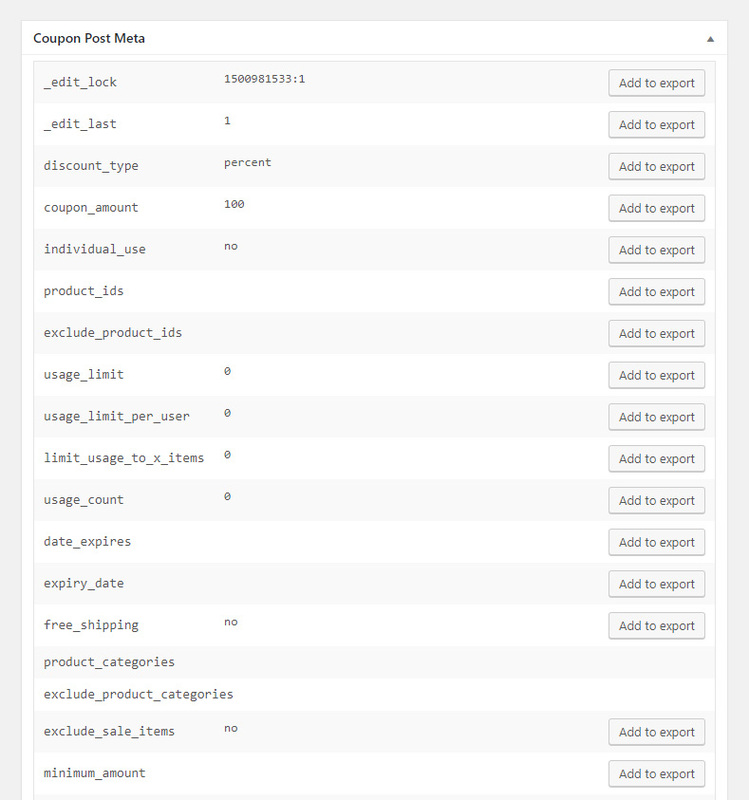 I don’t have time this week to provide sample CSV’s as they are easily created by populating some sample Products/Orders/Categories/Tags/Users within your WooCommerce store. 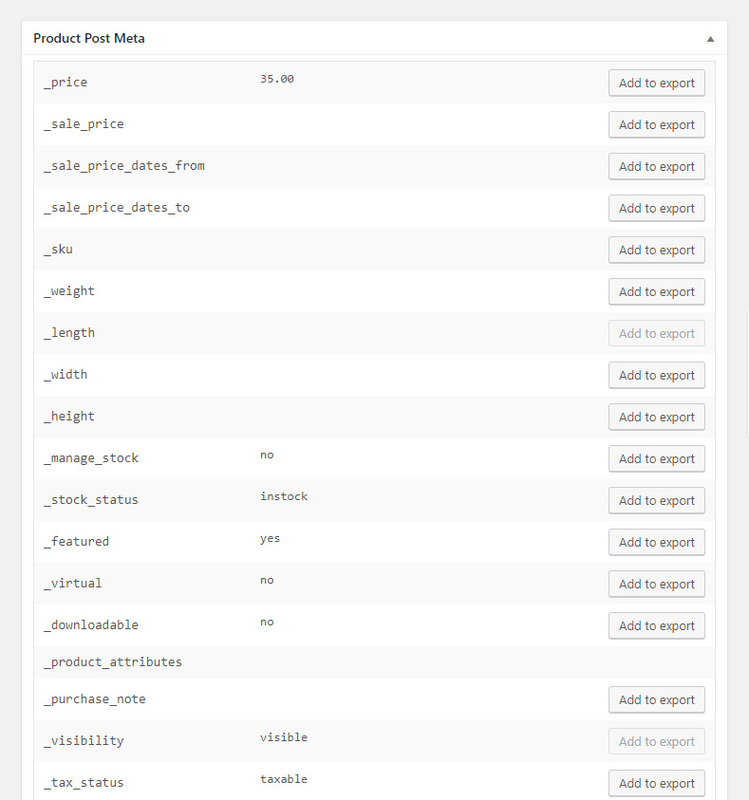 Regarding the Exporter, it is actually hard for me to create sample CSV without actually purchasing your product ;). I understand you are busy this week. This is no worry. But would you be kind enough to send me a sample by next week (only clients and orders are needed at this stage) ? I look forward your answer. I left a request for a doubt but I am in a hurry to solve it and so I write here. 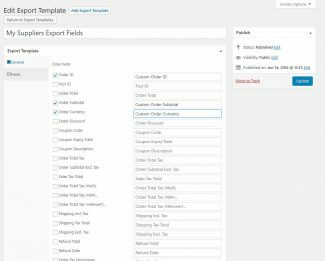 My question is about exporting the filelds of the attributes made by hand… In every product, in the attributes tab, you have the option to set custom attributes. But in many products we added not custom attributes. My question is how could I add the not custom attributes at the exportation. Hi and thanks for the answer. 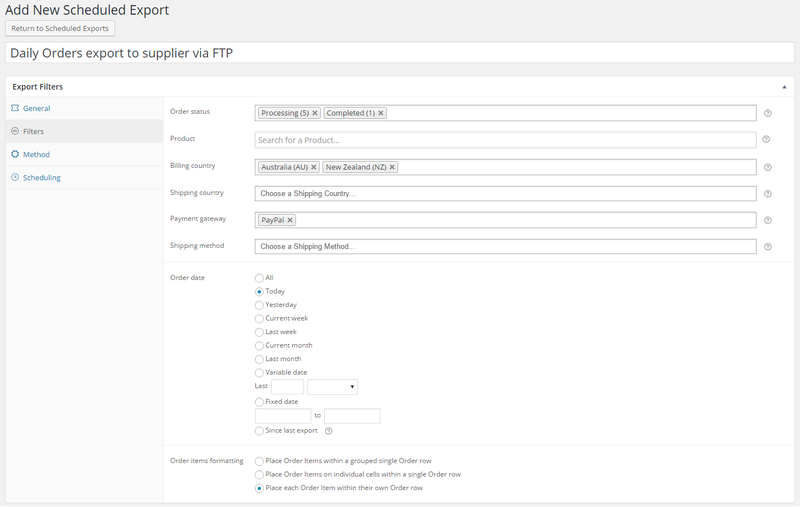 I have in the product filds to export, to many filds like product name, product SKU, etc. Also I can find the custom attributes I made for my prducts. i can export these attributes as color, models, etc without problem. 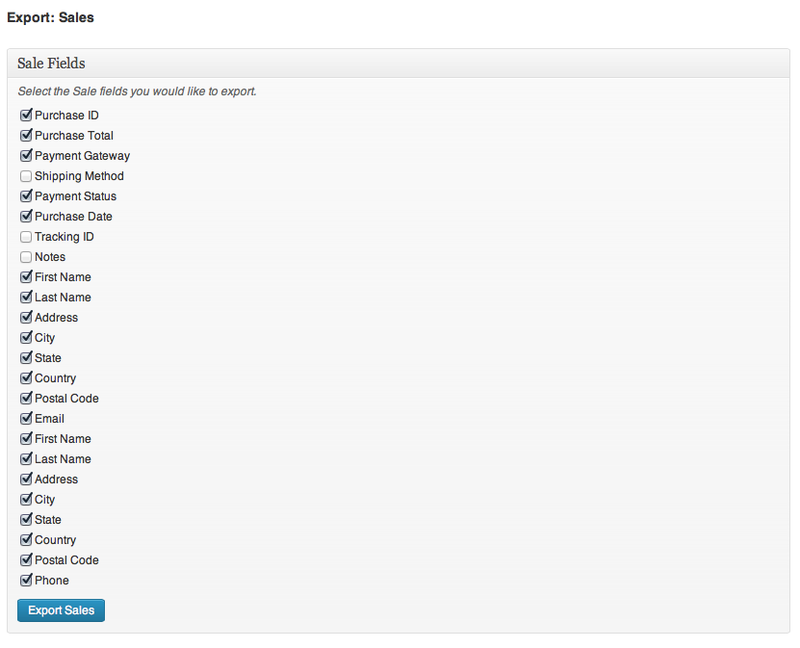 The problem I have is when I want to export the non customized attributes. I explain it. For example I have a lot of products in my catalog and this products have a “size” atribute. 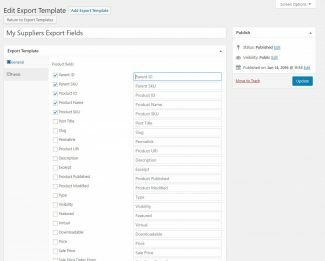 If I create a custom size attribute in the attributes tab of woocommerce panel I will have too many terms in each attribute. So I create in each product an attribute called size… But this attribute is created in the product adding specifically for the product. 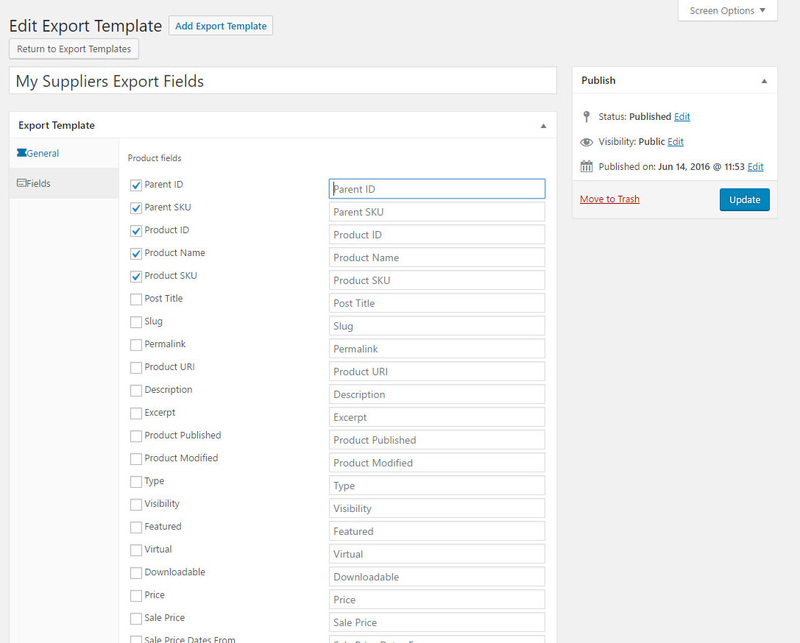 So, the attribute don´t appear in the product field.. Sorry for so many posts, but now I am having another problem. Changing the interval of time for the CSVs to be exported (default is 1440) doesn’t seem to be working. I tried changing it to 5 minutes, then 1 minute and I still have not received anything. It’s been 20 minutes. 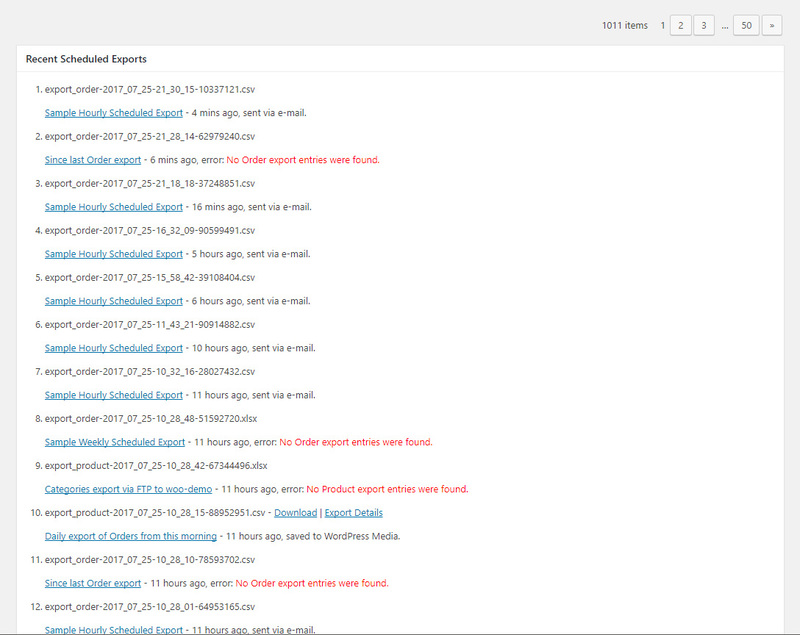 I made sure to change all email addresses notifications in WP to mine to make sure I was running a proper test. 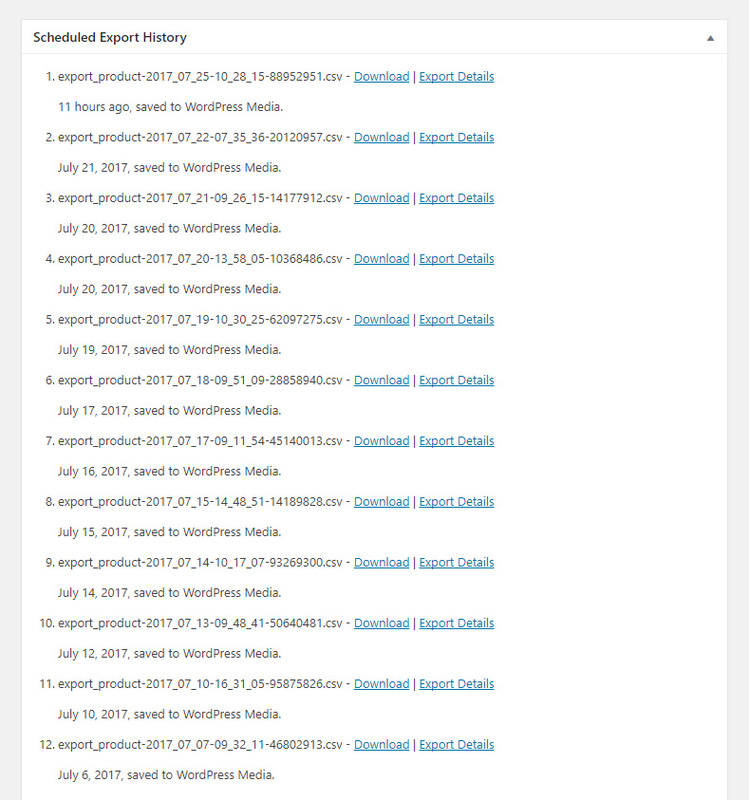 – cron.php is not properly referring to schedule_export.php….also the file name for scheduled_export isn’t even called scheduled_export.php within the folder (so email shows php error). I want to check if i fixed this, but i can’t get the exporter to send another email (which i had been trying to test before i made any changes). We are about to launch a campaign for the product and really need this plugin to function as indicated, so if anyone has any experience with these issues, I would really appreciated your help! 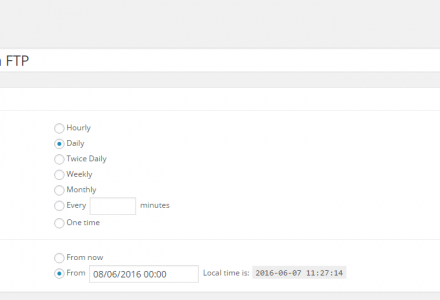 – Order Notes is now working with up to date WooCommerce (2.0.20+). 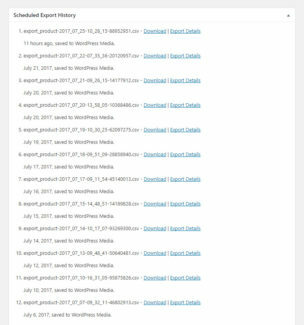 We may have missed your deadline and will happily refund for this, I’ll do a bit more testing of the scheduled export engine and try to sneak a few minor features in before releasing this afternoon. Thank you so much. I really, really appreciate you making these changes in the next update. A refund is not necessary, but thank you for the generous offer. Looking forward to the updated version and thank you again for that great service! I wanted to let you know that the update fixed everything I had an issue with, except for one little thing. The exporter is still not exporting to the email address that i have set for cron jobs or even for what i have set in woocomm store settings. It’s only sending to the wordpress admin email. 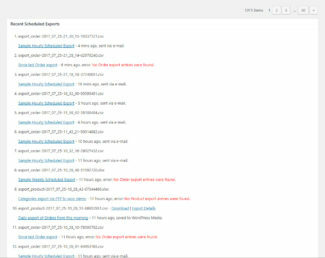 Do you have any recommendation on how to change this without changing the admin email? Hi alexandriabmi, line #48 of includes/cron.php, we’re incorrectly defaulting to the WordPress Admin e-mail address where the ‘to’ GET attribute hasn’t been provided as part of the CRON export. Thank you so much! I made the change you recommended, and it’s working as expected. I am so grateful you and your team were able to resolve all of these (and for an older version of woocomm) so fast. 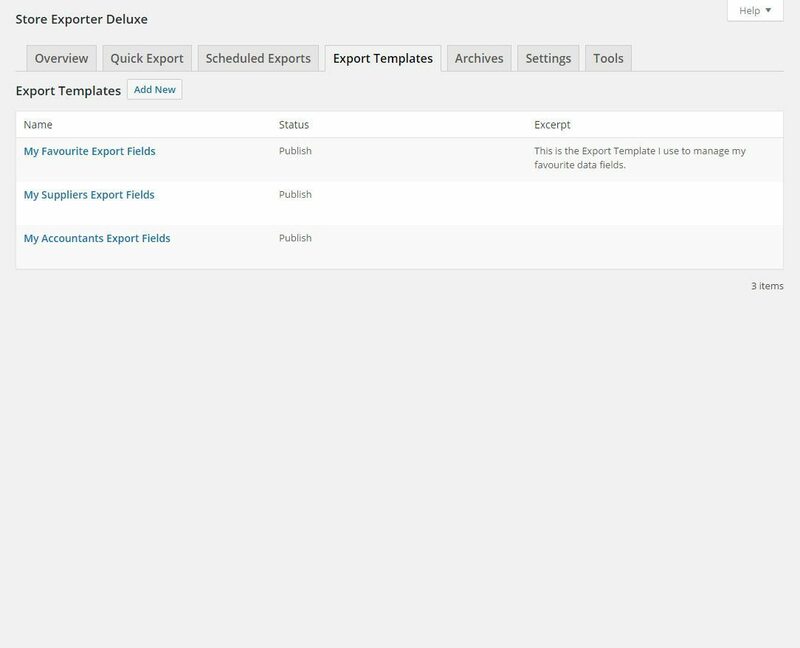 Finally I have purchased the plugin and it works great but I have a doubt… How could I schedulle the exportation alwys in the same file? 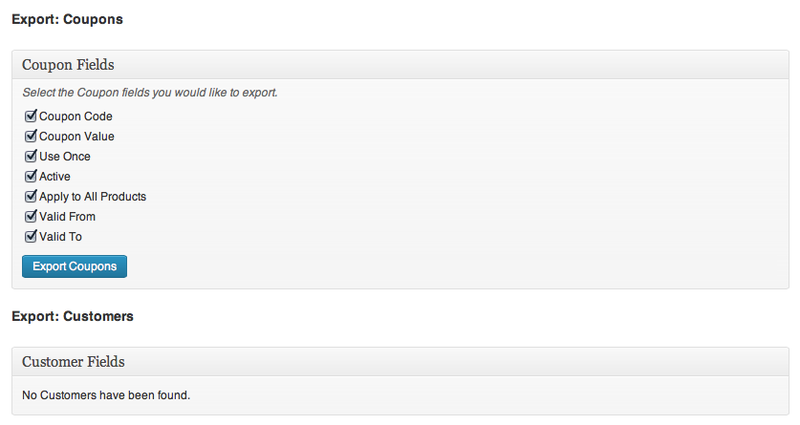 Hi pinckneyhugo, you will need to use the CRON export feature if you want to control the filename for exports. 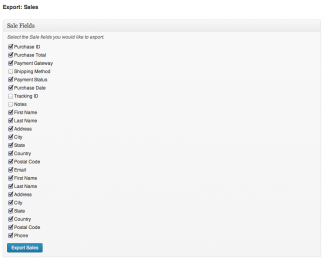 Since we use WordPress Media to save the export file for most export methods the filename will increment. I’ve made a note to add an option to override on scheduled exports. I purchased the store exporter deluxe, and it works great except for one problem. 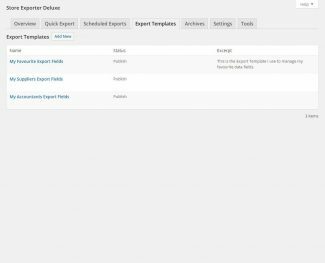 It is not exporting the customer notes from woocommerce. I was hoping someone could help me with this. I noticed in the changelog previous to the 1.3.4 version that there were problems with this feature. Any help would be much appreciated. Thank you. 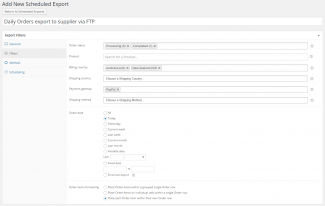 Hi alexandriabmi, we are are aware of this and working to reproduce this with different versions of WooCommerce. My understanding is we do support Customer Notes for WooCommerce 2.0.20+ (above 2.0.20) which is below your store version. 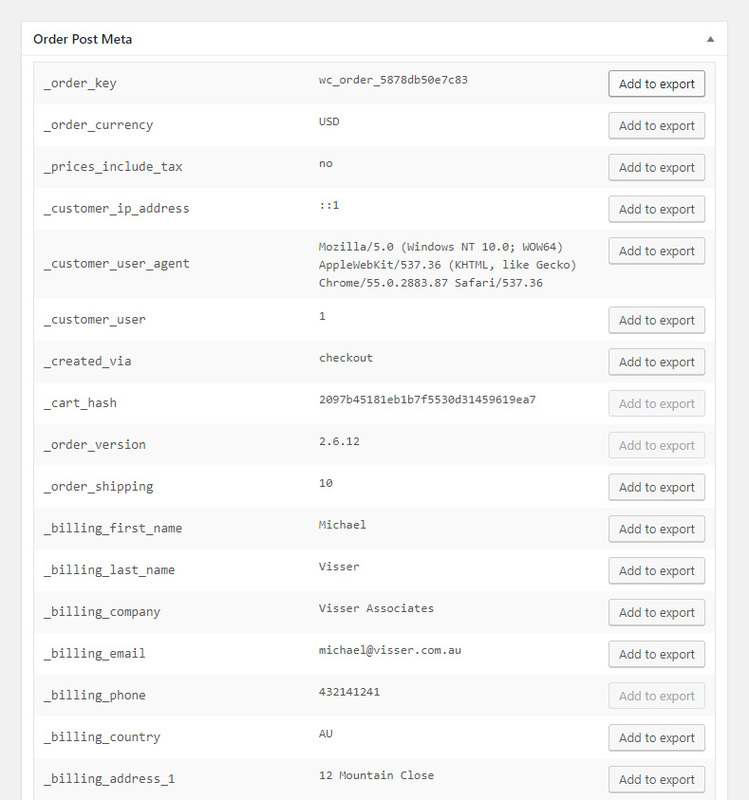 If you can e-mail me at michael@visser.com.au I can work with you to add legacy support for Customer Notes in WooCommerce. 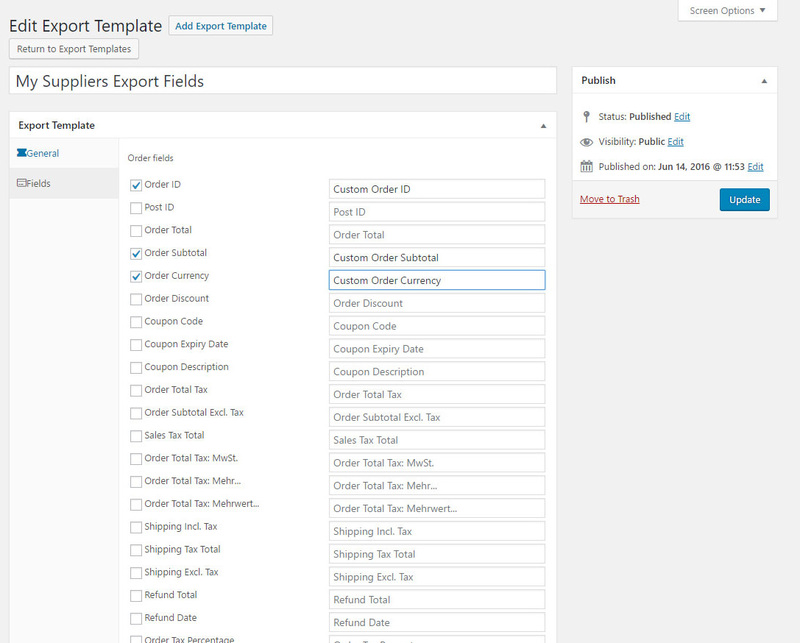 Hi alexandriabmi, sorted this, the Customer Notes structure has changed since the feature was implimented. Have added test notes and reproduced the change that will make it into the next Plugin update that I’m packing up for release. Just purchased the deluxe version! I had no problem doing an export in the free version, but since purchasing t the deluxe version I haven’t been able to export anything. 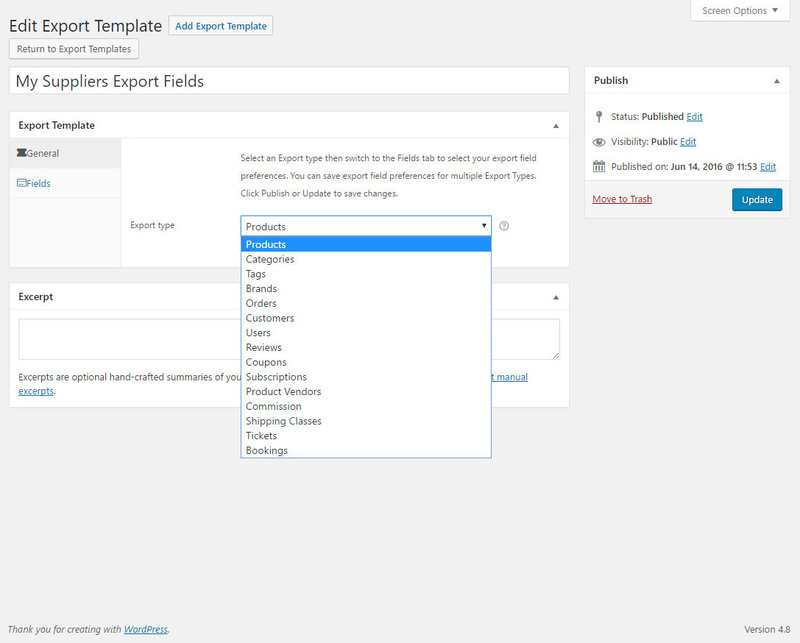 When I click “Export” it just reloads the page and fills out the fields that were defined in my previous successful export (which i completed with in the free version). Sorry if this is confusing. I tried clearing the cache and I still haven’t been able to export. Any ideas? I am trying to export in XML format all the simple products of my shop. 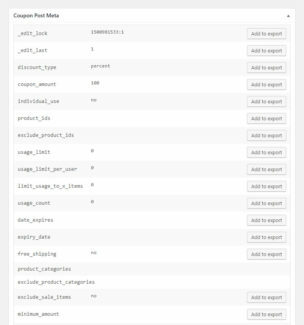 What i want is to use the xml to export to another web easily and not to rewritte every product again… I am about to buy your plugin for do it but I am not sure the exportation will be as good as I need (cause my products are a little complex) My question is…There is any way to get an exaple of the xml exportation with a few products to see if the plugin will work for me?? I sed you an email by your contact form. How can I import the data I exported? I am trying to move a woocommerce install. 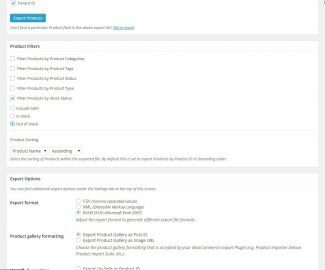 Hi takosabi, our Product Importer Deluxe Plugin can import Products, Categories, Tags, Brands, we do not offer a Plugin to import Orders, Customers, Coupons at this time. We may introduce these features in the future. 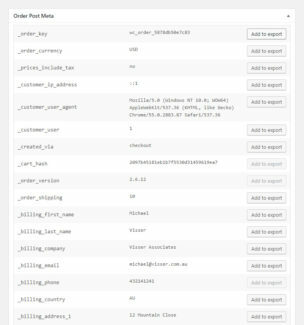 is it possible with the plugin, to export all the order details of a whole category? Is it possible with the new update to make the categorywise export? I need to download the order details for every category in separated spreadsheets. Any other idea, how to solve this problem? 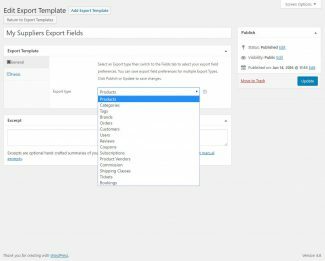 Hi Peter, we’ll be adding this in the next major Plugin update which is any day away, in the interim we have been preparing some new export types and fields to export! I promise Category filtering isn’t far off! Any news about Category filtering update? One of my client would that need really much. What do you think, when would it be the next major update?